1.- The general conditions indicated in this section will apply to all orders received on the different websites of KATEUROPE and are understood to be accepted by the buyer when placing the order and making payment. 2.- All product information published on our web pages has been produced with information provided by the manufacturers of the different products. Published photographs may not necessarily match the product received. Different information such as dimensions, weights, accessories and other data should be considered for information only, as aspects may vary according to the product manufacturer. 3.- The buyer must be of legal age and have the capacity to enter into binding contracts. 4.- Spare parts marketed by KATEUROPE in accordance with the EEC Regulation 1400/2002 are considered to be of Equivalent Quality to the original components. 5.- All orders will be sent on behalf of KATEUROPE by the transport agency considered most appropriate for performing the service at that time. The delivery address will be the one indicated on the purchase order (no deliveries will be made to PO boxes). 6.- Product prices are in Euros. Value Added Tax (VAT) is included in these prices, but not the shipping costs. These will be borne by the Customer and must be paid additionally. Both the product and transport service prices will be indicated on the different KATEUROPE web pages and will be understood to be valid when confirming the order. ** Delivery times are estimated and apply to orders received before 13.00h for France and Italy and 18:00 in Spain and Portugal. For orders of over 5 parts, consult delivery periods. KATEUROPE reserves the right to modify prices at any time. If there is an error in the price of a product, KATEUROPE reserves the right to cancel and not supply the order, while reimbursing the full amount of the order. 7.- Payments will be made via the different payment means available on the website. The order is sent after payment is received. Is returned in the original packaging and contains all its accessories. Before returning the product, a form downloaded from the attached link (return form) is filled in and sent with the purchase invoice to the following email address returns@kateurope.com, so that KATEUROPE can send a carrier within 3 Days of receiving the request. The refund for the product returned will be made by the same means of payment the purchase was made within 15 days of receiving the product at the KATEUROPE facilities. If the reason for the return is outside the service provided by KATEUROPE, the amount for the transport will not be refunded. The guarantee covers any manufacturing defects. To process a guarantee, you must complete the form that can be downloaded from the attached link (warranty form) and send it to the following email address warranty@kateurope.com, along with the purchase invoice for KATEUROPE to deliver to the carrier within 3 days following receipt of the application. 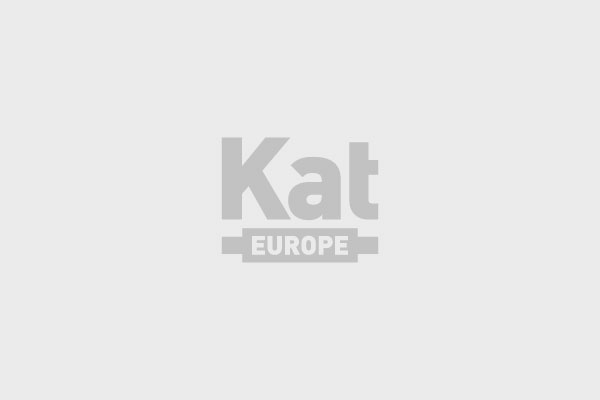 Acceptance of the guarantee will be evaluated within 10 days of receipt of the product at the KATEUROPE premises, before communication of its results. If the guarantee is accepted, the amount will be refunded by the same payment method as used with the purchase, within 15 days of communication of the results. To minimise these deadlines and return costs, you can send us photographs of the product showing the fault clearly and in detail, along with the guarantee form. If these photographs are sufficient to evaluate the product guarantee, the product will not need to be returned. After receiving the form and photos, the opinion will be communicated within 10 days and, if the guarantee is accepted, the amount will be refunded by the same method used for the purchase within a period of 15 days from the communication of the resolution. KATEUROPE complies with current regulations on data protection to guarantee data confidentiality.